Our approach is a Personalized boutique approach. We work close with our clients to identify their needs and their specific organizational culture. 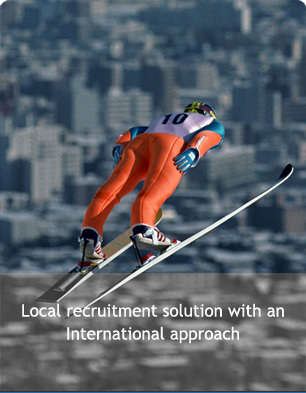 Our services include Specialized Recruitment, Headhunting, Executive Search and HR Consultancy. The perception of executive search has often been that it is exclusively deployed for only the most senior level roles and that such an approach can often be both costly and time prohibitive. We have however developed the ability to headhunt at all levels to ensure that we engage with candidates who are "passive" as well as those who are "actively looking". After agreeing a list of target companies with our clients, we can approach the very best candidates, specifically targeting key individuals who are regarded as high achievers. Search is not a solution for all assignments, hence why we will often combine it with advertised search. Our dedicated recruitment software "PointHR" is built upon vertical industries, Skill Matching, Face to Face Interviewing and Skill Testing. We have in our database profiles of candidates already interviewed and assessed. By this, we are able to provide in a pre-project phase vertical markets surveys and salary expectation surveys. Click to see our sector expertise.